Most of the people in U.S. use nutritional supplements either on regular basis or occasionally. Nutritional supplements may include minerals, vitamins, herbals, amino acids, botanicals, enzymes and a multitude of other products. It comes in different forms such as capsules, conventional tablets, powders, drinks and energy bars. All nutritional supplements carry a Supplement Facts panel indicating the contents and ingredients and its amount. The serving size is suggested by the manufacturer or the health care provider may decide the appropriate intake depending on the case. Below are some tips on how and when to use nutritional supplements and make the most out of it. Should You Use Nutritional Supplements? FIND OUT IF MY 90 DAY PROGRAM WILL BENEFIT YOU! There is no need to use nutritional supplements in case you have a perfect healthy life. 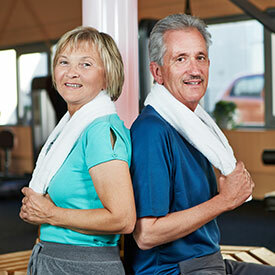 You may consider taking a supplement in case there is a weakness or any other sort of health issue. Many countries treat dietary supplements as drugs and it is imperative to conduct proper research before consuming any supplement. Do not introduce any supplement to your body before you know each and everything about it. For instance, consumers must go through all the consumption risks before relying on it as an effective supplement. There isn’t an ideal nutritional supplement for everybody, but there is an established criteria that can determine the quality of a specific product. Even though different rules may apply to sports supplements and similar products, the general criteria is same for all. Safe for mental and physical health. Supplement fact panel must be in readable size and font. There must be no artificial coloring, flavoring, sugar or sweeteners. It must be free of fragrances, hormones, lactose, preservatives, starch, yeast and different kinds of allergens. It must be tested for heavy metals such as mercury and lead, and for total bacteria count. Companies always recommended collaborating with doctors when it comes to nutritional supplements. Always investigate about the supplements you are interested in with a practitioner. Supplement research is moving fast and more people know about it. More research will give you better idea about how it works and what are the benefits and detriments associated with its consumption. Pharmacists are also acquiring more knowledge in this area. They can be consulted as well to obtain better insights. It is recommendable to use nutritional supplements with or just right after the meal until and unless doctor has given different directions on its consumption. Consuming it with meal triggers the benefits. It maximizes the stomach acid which helps with absorption and reduces the probability of any stomach-related disease. Some people consider intake of nutritional supplements as a new trend and tend to consume them every now and then as if it is a healthy activity. Even though it may provide your body with an extra dosage of nutrients, it is not something to eat excessively. Always go for the lowest possible dosage in every case until and unless recommended by the doctor. Hopefully these tips will help you figure out why, how, and when you can use nutritional supplements. What is the perfect diet that will insure we actually get these necessary nutrients? If we want to take an approved Supplement to be assured we obtain our daily requirement, what is the best products to use?